Home Article CIBC Smart Account 300 dollars promotion ends soon: What you can get out of it? 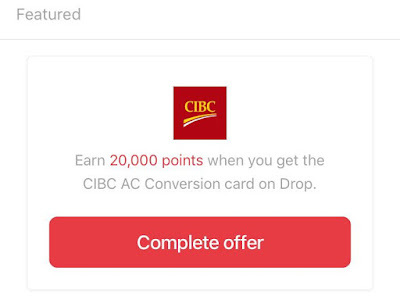 CIBC Smart Account 300 dollars promotion ends soon: What you can get out of it? As you may be aware of, summer time is the prime time for the banks in Canada to compete for new customers, so there are many promotions for opening a new account. Today I just want to write about CIBC's flagship promotion here：by opening a new Smart Account with CIBC and have one direct deposit or two recurring pre-authorized bill payment, you will get 300 dollars of bonus. Please check with the bank manager to ascertain your eligibility for this promotion. The promotion for this summer ends soon: June 30th is the deadline. The most distinguishing feature of this account is that the monthly fee ranges depending on the number of transactions you have every month. The cap is 14.95 per month, and I think it is designed for customers who have a lot of transactions every month (more than 12 at least). Of course, you can have this monthly fee waived if you keep the balance more than 3000 AND have your direct deposit set up or have recurring payments every month. You also have chance to have a pre-approved credit card when opening a new account with CIBC. But your credit score will play an important role here: if you are used to having late payments, you may end up with no card offers from CIBC. Plus, recently you can apply for this CIBC AC Conversion Card via Drop, and you will earn 20,000 drop points (that's a lot). I have detailed this promotion in another post: click here to read. As a super user to Drop, we have our specialized refer code: phdguy，enter this so you can earn 1000 sign-up points.